The brother of three south Armagh men shot dead by the Glenanne gang has accused the British government and political parties of “protecting their own deep secrets”. 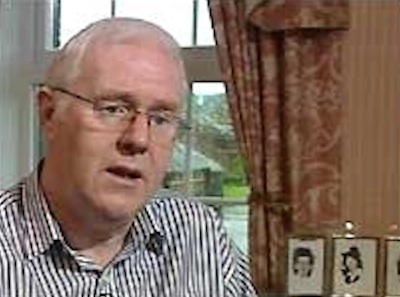 Eugene Reavey spoke out just days after Taoiseach Enda Kenny urged the British government to allow access to documents relating to the 1974 Dublin and Monaghan bombings. Two years after the bomb atrocities Mr Reavey’s brothers, John Martin and Brian died after a paramilitary gang burst into their home in south Armagh on January 4, 1976. A third brother, 17-year-old Anthony, died several weeks later. The murders were carried out by the notorious Glenanne Gang, which included members of the loyalist UVF and British Crown forces. Within minutes of the shooting, 15 miles away, members of the O’Dowd family were gunned down by the same loyalist gang near Gilford, County Down. Earlier this year Mr Reavey accused the British government of being “unwilling” to release files relating to the murders. Mr Reavey has now accused all sides in the conflict of hiding information form the relatives of victims. He wrote: “Like other victims families we had thought that the new political dispensation at Stormont would have brought a sense of priority for victims, a new time of openness and transparency. “But all sides in the conflict including of course the government are defiantly protecting their own deep secrets and have no interest in any victims except their own. The campaigner says the political establishment is failing his family’s fight for the truth. “But it now seems obvious that a failed one-party state has been replaced by a failed two-party state and there is a greater impasse that ever regarding justice for the relatives,” he said. Mr Reavey believes little progress has been made in discovering the truth behind the murder of his brothers. “As relatives take fresh steps in pursuit of justice, I would issue a word of warning from my own experience regarding the three Reavey brothers, just when you think you are making progress, the door is slammed in your face when you seek the critical information that should have been freely given,” he said. Meanwhile, the brother of an RUC man gunned down in a Belfast ice-cream parlour has spoken of his despair that almost 26 years on, the force still refuses to respond to claims they covered up the killing to protect a highly-placed informer. George Larmour has called for the “the truth” amid allegations that former RUC Special Branch officers had deliberately allowed his brother John to be killed so they could “recruit and protect a super tout within the upper echelons of the Provisional IRA”. John Larmour was shot dead in an ice-cream shop in south Belfast on October 11 1988. He had been helping George, who owned the business, while he was on holiday in Spain. In 2008 the Police Ombudsman upheld a complaint by John Larmour’s son Gavin that his father’s killing was not properly investigated, but did not reveal that information was withheld to protect an IRA informer. “My dealings with the Historical Enquiries Team in 2008 had already proved to me that no-one in authority really gives a damn about victims and their families,” Mr Larmour said.